This is the most popular series for sale by PeterPJames, including both parts of The NLHE Tuneup Series. You’ll get a well-rounded education when it comes to making better bluffs, thinner value bets, and how to improve your winrate in a variety of spots. If your strategy isn’t performing as well today as it did in the past – grab this video series with over 4 hours of content and reclaim your winrate. At one point or another, your poker strategy is going to get a bit stale. You’ll fall into your routine, you’ll run the same plays, and you’ll experience the same results. But if you are interested in taking your game to the next level, you need a tuneup! This in-depth series by PeterPJames takes a holistic look at upgrading your NL cash game strategy. With almost 4 hours of content – you’ll improve your preflop game, your postflop game, and walk away with fresh ideas you can begin implementing in your next session. This poker video series explores ways to tuneup your No Limit Holdem game. While preflop is discussed, the major focus in postflop play and making better bluffs, better value bets, and using better sizes to create a more profitable strategy. This series is a hodgepodge of 100bb NLHE cash game information brought about by discussions and lessons with various students. If you are somebody who feels frustrated when time and again and 3bet, get called, cbet a flop you miss and then don’t know what to do, this video will be worth the cost of the series alone! Part 2 is packed with 6 videos and almost 2.5 hours of content! The material builds upon NLHE Tuneup Volume 1 and looks at specific hand histories and concepts that are sure to help improve your game. I bought Pete’s “NLHE Tune up” series and it is awesome value for money. When you consider his hourly rate for coaching, in which you couldnt cover all this stuff in just one hour, and the fact you can sit and go over the vids again as much or whenever you like means this is a serious bargain. HOW ABOUT A BONUS SERIES? PeterPJames put together a set of 6max LeakFinders. Peter receives recorded sessions from students and provides analysis about each of them, pausing the video to go further in-depth when necessary. This series includes 2 videos at 50NL and 5 100NL sessions, giving well over 4 hours of BONUS content. Whether you are playing 50NL or 100NL, or simply looking to move up from the micros, this series gives great value to players looking for a coach’s input on a variety of important situations. This is a $30 value – for free when you purchase The TuneUp Series. 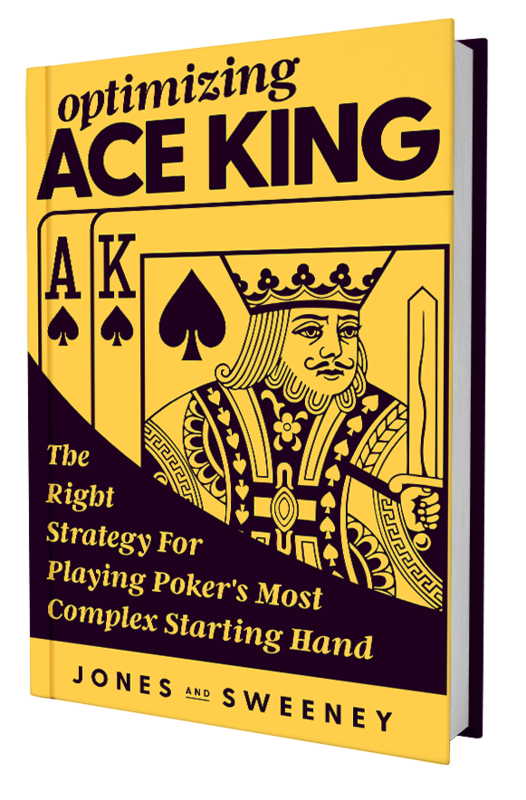 If you’re ready to tune up your cash game strategy, dive into this series today.